6000 years ago, they used cannabis oil for cooking. 4000 years ago, they used hemp to make fabric. 3000 years ago, they recorded their first use of cannabis as a medicine. 2000 years ago, they invented paper made of hemp. Today they arrest their citizens for possessing or selling cannabis! China has the longest recorded historical association with cannabis, and yet today a Chinese citizen can be arrested for possessing cannabis. While a foreigner would more often than not be forgiven for a similar lapse, the locals are expected to obey the law that keeps them away from something that is more theirs than anybody else’s. 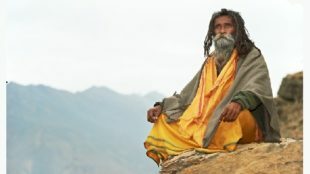 They were the ones who had discovered it first – even before the Indians figured out its medical usage and determined a religious framework that resulted in a recreational use of Bhang or Marijuana. The Chinese had another reason to fall in love with Cannabis. The Traditional Chinese Medicine lists Cannabis Sativa as one of the 50 main herbs that should be prescribed for various ailments. 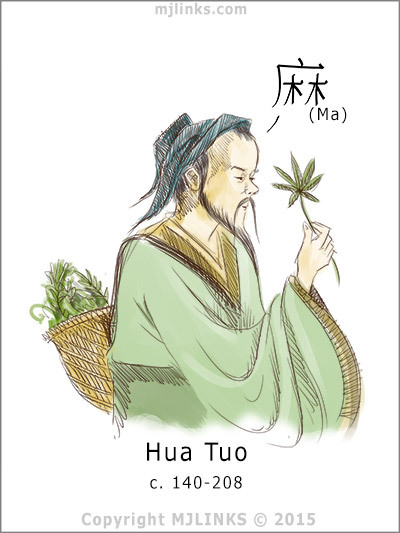 Hua Tuo, who lived in the first century A.D., and possibly trained in Ayurveda (the Ancient Hindu system of medicine) used cannabis as an anesthetic by mixing its powder with wine. This concoction was called Mafeisan (it also had some datura – a hallucinogen, in it.) His invention of this anesthetic enabled him to perform abdominal surgeries for removal of appendicitis – 2000 years ago! Unfortunately, most of Hua’s work was destroyed – only the stories of his medical prowess remain behind to amaze and amuse us. The Chinese name for Marijuana is Ma or Da Ma (Ma = Hemp/Cannabis, Da Ma = the Great Hemp) The term Ma in Chinese is depicted with two slings of hemp that have been hung out to dry in front of a house. In China, cannabis is still cultivated for its fiber, which is used to make fabric. But we must wonder whether even in the modern times, have the Chinese concentrated their effort only on the low-value fiber and not on the other high-value parts of the cannabis plant? The fact is that they have already noticed a huge business opportunity in the legalization of cannabis. They have been watching the world legalize the use of cannabis, and they have known all along that this would open gates to new, never-before business opportunities. The Chinese have already taken the first step by taking their cannabis-for-medicine legacy forward. While Chinese law doesn’t allow the cultivation, possession, transport, or sale of marijuana by individuals, yet the Chinese hold nearly half the patents related to drugs made from marijuana. This means that in the coming years, as decriminalization of cannabis happens all around the world, China would be poised to launch their products internationally. The United States is China’s biggest trading partner and it’s not difficult to visualize a post-legalization future in which Chinese medicinal drugs and other products made of cannabis will be available in the US market. Not many drug manufacturers in the US are researching cannabis seriously enough (with the possible exception of GW Pharmaceuticals, the manufacturers of Sativex and Epidiolex,) and so they may face some serious pot competition from the dragon.